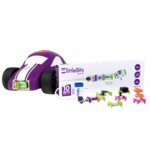 STEM has come a long way, and we see tons of new toys that do much more than keep kids busy – they enforce the necessary skills and give children the edge in learning about the world of Electronics. We have many quality products in our inventory from trusted brands like LittleBits or Artec. It is never too early for a child to become technologically proficient. Electronic STEM toys are all about promoting learning through fun. 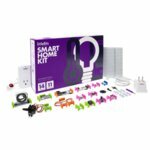 This unique kit allows creating internet-connected devices that will upgrade your home to the 21st century. USA brand. This unique kit helps create internet-connected devices in seconds. With the new CloudBit you can take control of anything with just one button. USA brand. The ultimate invention toolbox jam-packed with all of the «Bits», tools and supplies to inspire the next generation of inventors. USA brand. 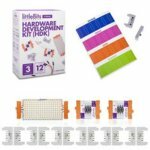 Perfect kit for the hardware professionals, who are dreaming of inventing their own electronic modules. USA brand. 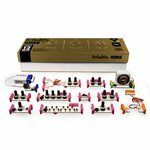 Invent music and musical instruments with this easy to use modular synthesizer. USA brand. Perfect for inventors of all ages. Get started with some of LittleBits' favorite modules, like fan and vibration motor, that aren't found in other kits. USA brand. 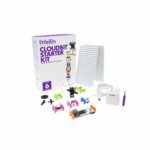 The Base Kit empowers to unleash one's creativity and build new inventions with no prior experience, nor soldering, or programming. USA brand.